What I remember most as a child is the vibrancy and warm distribution of color stretched across my Embassy Lakes patio. Either hanging from a chain, hooked to the corners of the screening, or planted in clay pots around the frame, it was always a wondrous sight to behold walking into my mother’s patio and see all the orchids she has thrown about so deliberately. What I have found to be most common with households is the inclusion of orchids to bring a tropical, warming decor to the home, indoor or out. Honestly, I’d have to agree that the beauty of any orchid is a welcomed addition to your home. 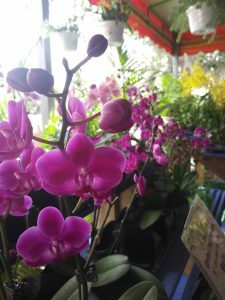 Through all the colors, all the variations in size and bloom, what I later learned about the orchids my mother had was that they all derive from the same orchid species, Phalaenopsis, or most commonly known, the Moth Orchid. The Moth Orchid is a renowned favorite for orchid enthusiasts. And justifiably so! Moth Orchid flowers are the longest lasting bloomers, lasting for months at a time only needing to be repotted once every 1 to 2 years! And the flowers come in all sorts of colors from white, to pink, to even purple and deep red rose colors. Truly incredible flowers! Although my mother had kept these flowers outside for all to see, these flowers are also ideal for indoor decoration.If your house tends to be warm, you have a small window sill space, you don’t understand fertilizers, or at the worst your pet gnaws at all your plants…the best option is a Moth Orchid. There is no need for a green thumb here! Believe it or not, a windowsill with just enough sunlight and space to rest a pot is enough for your Moth Orchid. Even watering isn’t very involved. Only every 7 – 10 days is needed, or at minimum when the soil is dry. It really depends on what you consider “moderate” sunlight and the rate of evaporation that occurs within the soil substrate that will determine when you water. 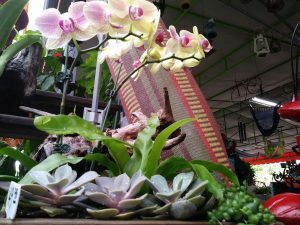 Bottom line, little work is needed to maximize the beauty of whatever space you place your orchid.